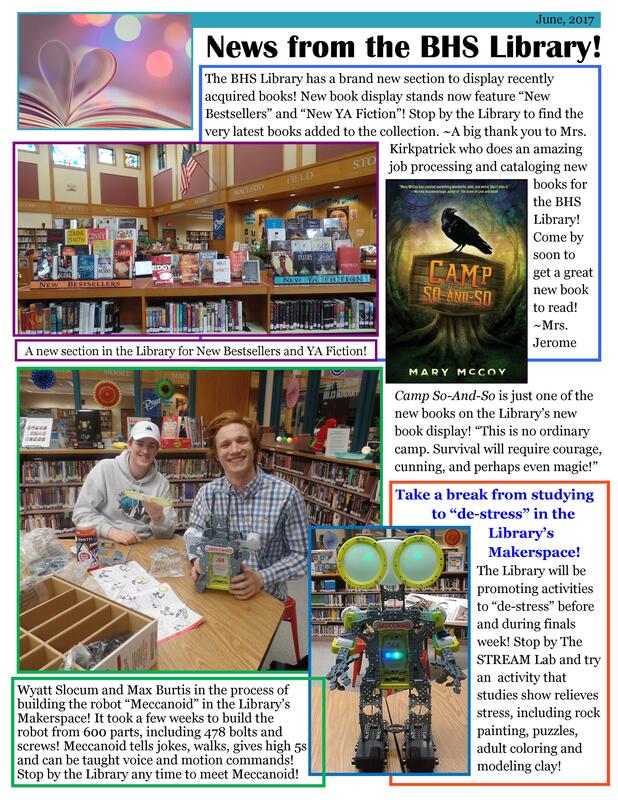 ← See what YOU can make in the Library’s Makerspace! 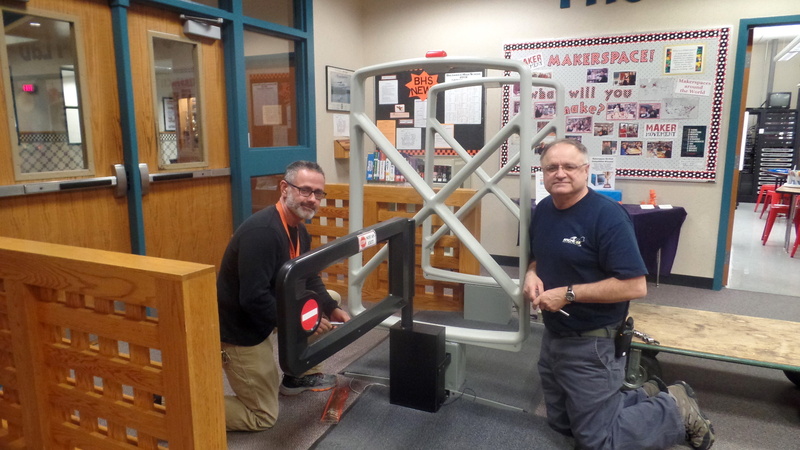 BHS Custodians Brad Frye and Brian Thibeault removing the Library’s security gate in December. The gate was no longer working, and was not repairable. 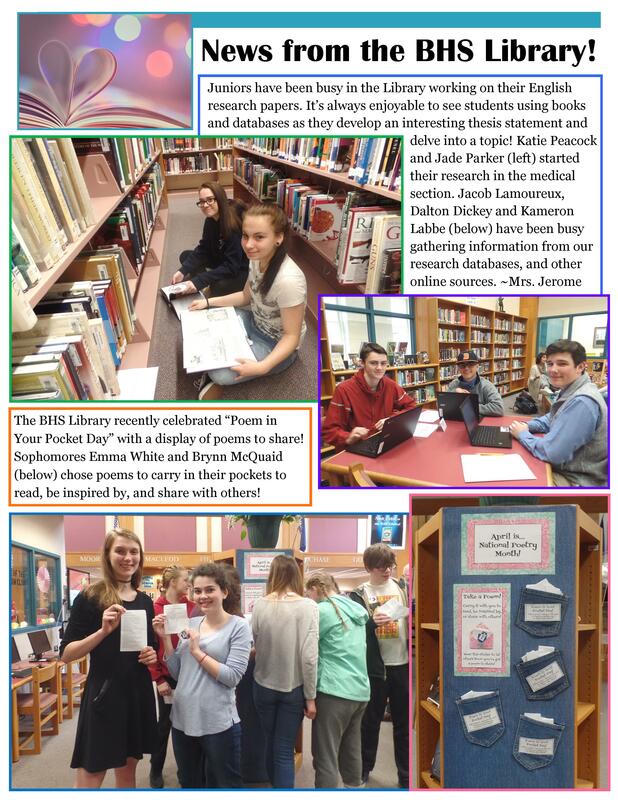 The result is a more open and welcoming Library!